One of the most intriguing side-plots in the Fallout universe is that of the alien menace that has popped up sparingly throughout the Fallout games. The most prominent encounter being the Mothership Zeta DLC in Fallout 3, where you are abducted and must escape the mothership and its hostile alien inhabitants. To do this, you must team up with a group of abductees the aliens have been abducting throughout history. Needless to say, setting a Fallout game in Roswell, New Mexico is rich with storytelling and gameplay potential. 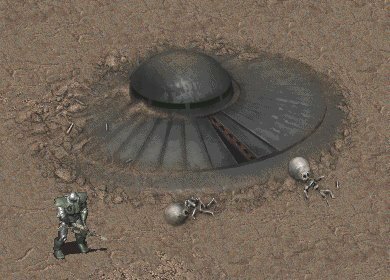 The notorious “Roswell Incident” is just one theme a Fallout game can explore, the fact that New Mexico has a rich history of nuclear weapons testing makes it a prime setting befitting of the Fallout universe as well. 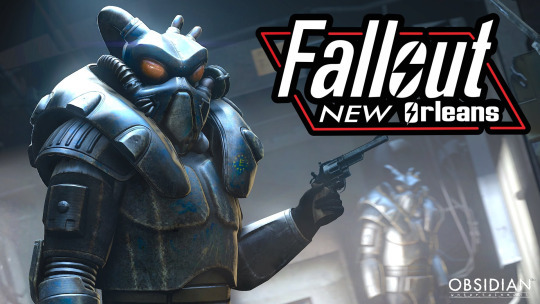 Much like how Fallout 3 was about purifying water and the threat of the Enclave and Fallout 4 about The Institute and the synth threat; Fallout: Roswell could finally bring the alien menace to the forefront. Really, a lot of lore from previous games can be used to great effect here to create a fun and interesting game. This is one that many seem to want, and I can’t see why not. Like Boston in Fallout 4, New Orleans could present a fun and interesting setting to explore in the universe. The unique culture of the setting, with the traditional Fallout twists, could provide just as unique an experience as New Vegas. 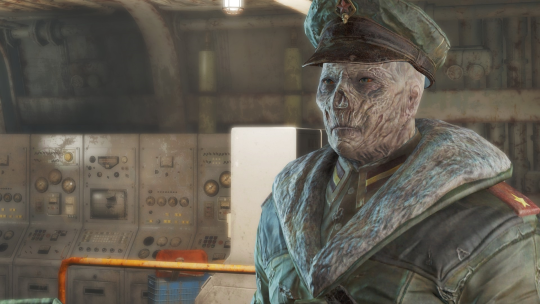 One of the most fascinating side-quests in Fallout 4 revolves around Captain Zao, a Chinese ghoul you stumble upon when investigating a “sea monster.” Turns out, Zao is the last surviving member of a Chinese nuclear submarine, one of the submarines responsible for the nuclear devastation of the United States, and it is heavily implied that he’s responsible for the bomb which created The Glowing Sea. And when you meet Zao, he’s suffering from a great amount of guilt for his role in killing countless innocent lives. And despite maintaining his Old World loyalties he’s very cordial, courteous, and holds no ill will to the very American Sole Survivor. Zao represents one of a scant amount of glimpses of what happened to “The Other Side” of the Great War. And it’s something I’d kill to see in a later game. I love cosmic horror, and I love the works of HP Lovecraft. So, naturally, I love the nods to the Cthulhu mythos found within numerous Fallout games. Yet again, much like Mothership Zeta, Fallout 3′s Dunwich building and Fallout 4′s Dunwich Borers hint at a much larger and more insidious universe beyond the post-atomic wasteland. A world where eldritch horrors lurk just beneath the surface of the radioactive scorched earth. The Dunwich Borers in particular hints that a cult was operating before the war to try and discover artifacts and possible awaken these cosmic entities. Said cult used a company as a front to further their interests. Why not have Vault-Tec be yet another arm of this cult? It certainly could explain some of the bizarre experiments Vault-Tec conducted on the hapless vault dwellers. 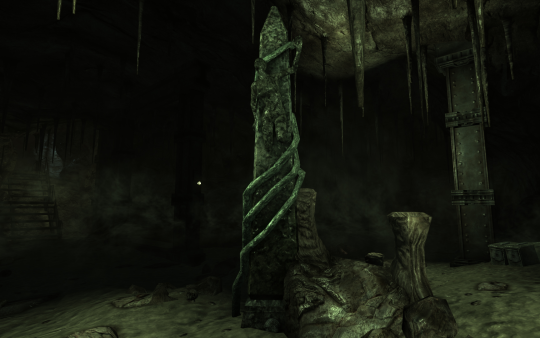 Plus, other side-quests hint at more Lovecraftian themes. The Mystery of Cabot House being one of my favorites. What with the immortal Cabot family, the mysterious headdress that has driven the Cabot patriarch insane by “showing him something more,” and even hints at aliens and/or ancient unknowable beings that had a hand in building human civilization. It’s all classic Lovecraft. Naturally, a game, or perhaps just a sufficiently large story DLC that expands on the Dunwich stuff and Cabot would be great. Setting it in some Fallout version of Arkham with their own version of Miskatonic University being a major faction would be really interesting. Blending Fallout’s atomic mutants and Lovecraftian horrors is already present with mutant Mirelurks and other irradiated ocean life. It should be done, because you can’t really go wrong with Lovecraft. 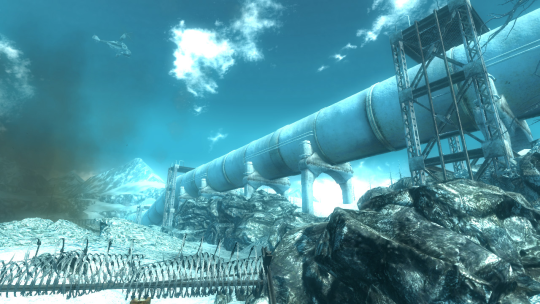 There really is no place more legendary in the Fallout universe than Anchorage, Alaska. We were treated to a taste of the Pre-war “Battle Of Anchorage” where US forces fought to retake Alaska from invading Chinese forces. This was essentially the final battle before the bombs fell, and is generally considered the battle that sparked the Great War and the fall of civilization. Like I mentioned before, a Fallout game set here could give us a greater look at how the Chinese have coped in the wake of the bombs falling, as there were numerous hints of pockets of Chinese resistance were still active after Anchorage was retaken. Not to mention we could possibly get to see how Canada fared as well. On top of that, a game set in the snowy tundra would be an interesting twist to the usual desert wasteland setting that’s become the norm for Fallout games.